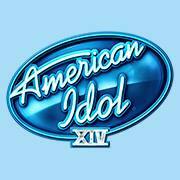 American Idol Season 14 finished up their auditions in the city by the bay. Mustafa inspired the next contestant to audition. Yep. Her cat. Why does this remind me of an episode of Glee (Brittany’s ‘Fondue for Two’ web series)? She’s ready to be a rock star. I’m betting she isn’t. She takes on Florence and The Machine’s “Shake It Out.” Fifteen-year-old Katherine Skinner surprised me. She has a fabulous voice. She does need a fashion makeover, however. Jennifer thinks she’s talented but also crazy (not in a good way). She thinks she is made for the stage but whether that is American Idol or not she is not sure. Harry likes the crazy because it kept him off balance. Keith thinks she is bold and fearless. Three yeses. I think she needs to reign in the crazy because she is going to get on my nerves quickly. Erika David, a 25-year-old hotel representative wants a ticket to Hollywood and takes on Alicia Keys. Jennifer thought she was sassy. Chandler Leighton, a 20-year-old student from Los Angeles also wants to go sings “New York State of Mind”. Jennifer got goosebumps. Ryan Pinkston, age 27, from San Francisco sings a cappella. Harry thought it was pinpoint perfect. Chandler gets three yeses from the judges and is my favorite out of this group. Erika gets a no from Keith but Harry and Jennifer say yes (with Jennifer adding that she has a lot of work to do before getting to Hollywood). Seventeen-year-old Andrew Bloom from Yorba Linda, California sings “Too Close” by Alex Clare. He sounded good. There were a few sharps and flats but pretty good for his age. Keith thinks he has a good spirit and it comes through in the way he sings. There were some things that he could work on. Jennifer days he has what feels right which is something that is required of a performer. Harry likes his spirit and thinks hens pretty good, too, but cautions him to watch the blues licks. Three yeses. Vocal teacher Kellyeann Rodgers, age 24, from Memphis, TN sings an old Carpenters has a lovely voice. Three yeses. Forty family members in one house??? Holy cow! Sixteen-year-old Reno Anoa’l sings Rod Stewart’s “I Don’t Wanna Talk About It.” First goosebumps for San Francisco. While he was singing, Jennifer says “pretty voice.” Keith thought it was beautiful. Jennifer days what she likes is that when he is singing she believes him until he did the runs and then she didn’t. Harry thinks he has a great voice but he had an issue with it in that it needed to show some variety. After Keith gave him a mild scolding that he needs to stop praying and listen to the feedback, he gets a ticket to Hollywood. The next contestant bows to Jennifer Lopez, the queen of Puerto Rico. He says Harry is the king. What does that make poor Keith? He wants to do a soap opera scene with Jennifer, and instructs Keith and Henry (BIG OOPS!) to their places. The Improv 101 that ends with Jennifer slapping him which was highly entertaining. And “Henry” hits Keith Urbano. Let’s hear Samuel Prince sing “As Long As You Love Me”. His voice is nice like my husband’s voice is nice but he should probably keep the acting gig. “Henry” says his vocals are not strong enough. Jennifer appreciated the fun but she agrees. Keith said it was like a person acting like they were singing. He didn’t feel like it was true to him. Three no’s. Matthew Sequoia, a 15-year-old from Merced, CA did not do so well and he looked terrified. Luke Randall, age 23, from Enterprise, Utah tried to sing “Radioactive“—rather screamed–for his audition. These two did not make it through. Sade Shine, a 28-year-old singer from Branson, MO, sang “Dancing In the Street”. I really enjoyed it. Harry liked the feeling in the room, but he is not sure it is an American-Idol-winning voice. Harry says no. Keith says yes. Jennifer says no. Zach Dire has a cool voice but he does not make it through either. Rayvon Owen and I have something in common—Spam in our childhood because we did not have a lot of money. But Rayvon you got it with cheese and me? Fruit cocktail. Makes me want to barf just thinking about that now. He sings “Wide Awake” by Katy Perry. He is a23-year-old singer/vocal coach from Richmond, VA. It was sweet. Second set of goosebumps. Jennifer got goosies as well. Keith loves his voice. Three yeses. Ezekiel and Jeremiah Cárdenas are twins from Long Beach, CA. They have never auditioned before and it shows. The guitar should have been left at home. It was off pitch the entire song. Jennifer lets them down easy by telling them they need more practice. No ticket for them. Maddy Hudson does not look 16 years of age. She hails from Pleasanton, CA. Third goosebumps of the night. Jennifer had goosebumps all over her legs. Jennifer said she was fantastic. Maddy is one of her favorites. Keith loved her inside and out; he heard and felt every bit of it. Harry said she has all of the ingredients to be a superstar. She yells at Harry that he is so nice. She has heart and a ticket to Hollywood. Harry entertains us at the piano before Adanna Duru performs “You and I” by Lady Gaga. She is impressive for a 17-year-old. First goosebumps of the night for me but I did feel like she was shouting towards the end of that. Jennifer calls her the full package. Harry cautions her to know what the lyrics are about. Keith thought it was great. Three yeses. Is that Carly Smithson with Michael Orland doing the pre-auditions? Christopher Michael, age 26, from Los Angeles impressed them enough to get an audience with the judges. It was not what I was expecting (not in a good way). Keith loved the passion but that was it. The singing wasn’t there for him. Harry said the point was to move people and Christopher fired him up but the music wasn’t there. A contemplative Christopher thinks maybe it was too hard rock. Sporting a Willy Wonka umbrella tattoo, Hunter Larsen, a hostess slash nanny slash florist is 20 years of age and is from Malibu, CA. She belts out “That’s Life” by Frank Sinatra. I got goosebumps. Jennifer likes her gritty voice which sets her apart from others. It’s memorable along with her look. Keith loved it. Harry also. She gets a ticket to Hollywood. Tara Honda sings Carole King’s “It’s Too Late.” She is a 22-year-old server/cook from Murrieta, GA. It was nice but I am not sure if it stands out from all the other people. Harry said she sounds great and he would buy her remake of that song. Jennifer thinks she has a soul of an artist. Keith likes it too. Daniel Seavey, age 15, from Portland, OR can play a lot of instruments. I wasn’t sure I liked his voice when he started singing “Hallelujah”. It did start to grow on me as it progressed. They talked about his voice breaking. Jennifer thinks he had a beautiful voice in there. The performance wasn’t complete and she could tell he was very nervous. Harry says he is handsome and talented but because of his age he doesn’t have the maturity yet. Will he have it? Eventually but not right now. So Harry votes no. Keith wants to see how he stacks up with others in Hollywood week so he says yes. Jennifer is on the fence but she says yes. Rocky Peter, age 27, had a wild story. He was born in the USA but his father brought them to Africa and then abandoned them. There was no money and they begged for food. He ate food from the trash and drank water from potholes. Music was the one thing there for him. He sings an original song called “Wrong Places“. The falsetto in the song felt odd to me. Was he the best voice we’ve heard? No. But he deserves a break even if he just goes to Hollywood. Harry thought his choices within the song were very clever. Jennifer loved the song. She could hear the pain. He has something special. Keith’s only concern is what Rocky does may be incompatible with Idol. For his beautiful voice, really original, beautiful heart Keith says yes. Jennifer is a yes. Harry asks him if his opinion matters and Rocky sincerely wants to hear what he has to say. Harry says yes. Sophia (unknown last name): Jennifer says yes, Harry says no, and Keith says no. Jaq Mackenzie is a student in a performing arts school. She brings in a guitar and wants to do an original song but then puts her guitar down. I will never understand people who do this especially if it is an original song. It isn’t very good. Maybe she should have used the guitar to get the notes right. Jennifer thinks she has the makings of a really great artist one day. It is already forming but she is worried how her style would fit with Idol. Harry thinks she is talented but he isn’t sure if Hollywood would help or hurt her. Keith likes her distinct singing style. She gets three yeses—cautiously but yeses. Tyanna Jones was homeless for about 2 years when she was about 5 years of age. I love the black hair with blue highlights. She has a Janelle Monae vibe to her look. She sings “Little Mix’s Wings”. This 16-year-old is better than Jaq Mackenzie. Jennifer thinks she is very talented. Keith asks her if she is working on anything at this time and she said her pitch because when she gets nervous she messes up. This impresses Keith. Harry said she has a lot of talent and is a special young lady. Three resounding yeses.